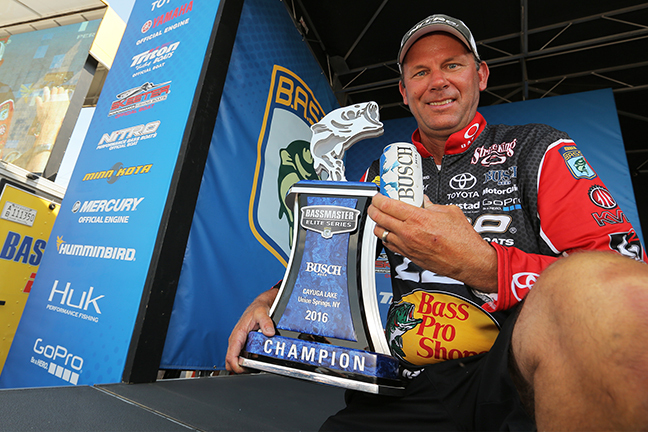 Kevin VanDam delivered his 22nd career victory at Cayuga Lake in an event sponsored by one of his sponsors – Busch Beer. 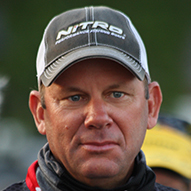 Kevin VanDam’s winning weight of 71-13 at the Cayuga Lake Elite Series ultimately fell well short of many competitors’ predictions that it would take nearly a 20-pound daily average to be victorious. That’s how good the fishing was in practice – there was quality and quantity at both ends and on both sides of the lake. After day 1 brought exceptional results for many competitors, the rest of the event was mostly a grind and VanDam, who was tied for 11th after Thursday, managed to climb a few spots on the leaderboard despite catching smaller limits each day. 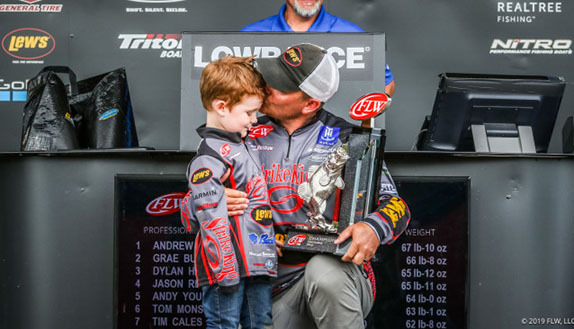 VanDam stuck with three different patterns throughout the event and had a mix of smallmouth and largemouth in his bags on the first three days before weighing in all largemouth on Sunday, when he rallied from 3rd place and erased a 1-pound, 12-ounce deficit. While finishing his drive home to Michigan on Monday morning, he said his 22nd career B.A.S.S. 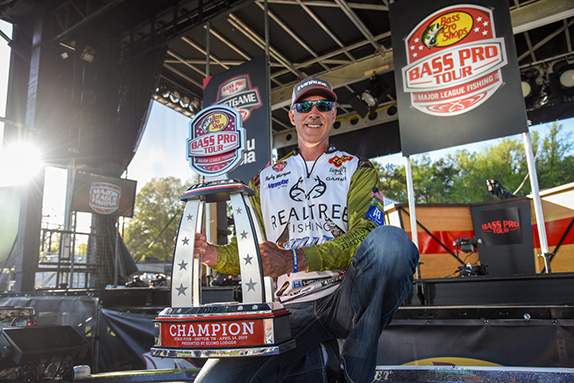 win felt much different than his triumph at Toledo Bend last month. 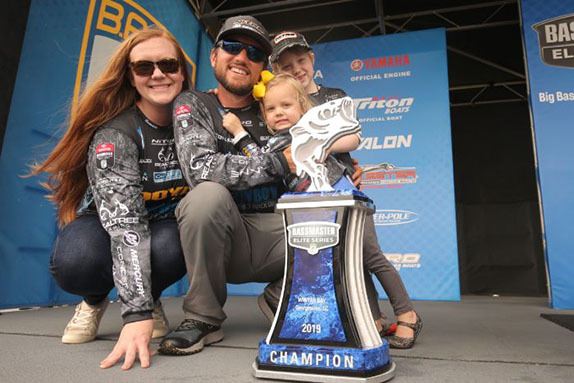 This was VanDam’s third career win in New York – he’s won twice at the St. Lawrence River – and he thinks his familiarity with natural lakes up north gives him a leg up. As he stated above, it didn’t take VanDam long to realize he had an opportunity to do really well at Cayuga. Smallmouth and largemouth were spawning all around the lake, but there were groups of fish in pre-spawn mode and another group that had already moved out of those areas. It was a matter of dialing in which areas had the better quality. Locating as many fish on beds as he could was his first priority. He found a mix of both species. “I marked a lot of fish,” he said. “I had like 30 miles of ‘em, but there were a lot of stretches where you’d go a long way and it’d be one here and there. Over the course of the event, I checked them all. He also identified a couple of key docks that were holding fish, which proved valuable because not every dock was productive. VanDam caught mostly sight-fish Thursday, tallying 18 pounds of smallmouth in the first two hours. He later culled two in favor of largemouth and wound up with 20-00, one of 12 20-pound stringers caught on day 1. In the back of his mind, he figured he was burning through fish that might’ve helped him later on in the event. When it came to the areas where he was looking at fish, he didn’t go back through that water later on. He did, however, revisit areas where fish were holding on grass lines and hanging out around holes and hard-bottom areas in the grass on the northern end. His 18-15 bag on Friday included three largemouth and two smallmouth and moved him into 6th place entering the weekend. Conditions were calm and hot on Saturday and he managed 17-07 to move into 3rd place, behind Brett Hite and Jordan Lee, but well within striking distance of the lead. He continued to work over stretches of grass with a finesse flipping approach that included a Texas-rigged soft plastic stickbait along with a wacky-rigged stickbait that he threw along grass lines. 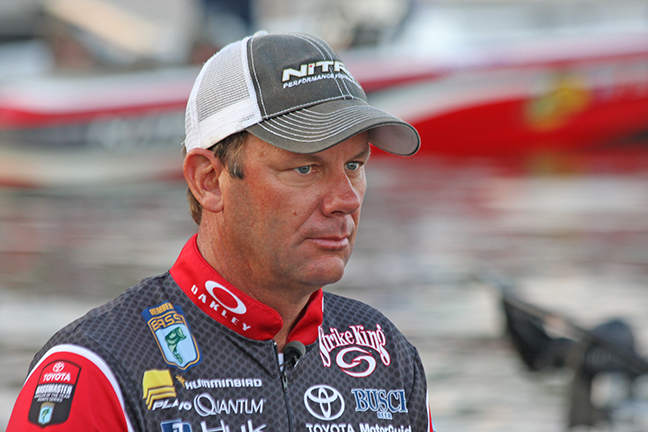 VanDam was focused but relaxed at the dock prior to Sunday's final round at Cayuga. He fully expected the breezier conditions for Sunday to activate the bigger fish that had seemingly turned off their feeding switch. He caught his two best fish in the first hour and rode that momentum to an early limit to put the pressure on Lee and the rest of the Top 12. He worked the inside grass line with a wacky worm, but also broke out a jerkbait, something he hadn’t done since the first day of practice. He caught three on the Strike King KVD jerkbait and weighed in two of them. > Finesse flipping gear: 7’6” medium-heavy Quantum Tour KVD PT casting rod, Quantum Tour MG PT casting reel (7.0:1 ratio), 14-pound Bass Pro Shops XPS fluorocarbon line, 1/8-oz. Strike King Tour Grade tungsten worm weight, 3/0 Mustad KVD Grip Pin EWG worm hook, 4” and 5” Strike King KVD Perfect Plastic Ocho (blue craw, honey candy, green-pumpkin). > Wacky-rig gear: 7’4” medium-action Quantum Tour KVD spinning rod, Quantum Tour KVD spinning reel (size 40), same line (8-pound), #1 Mustad Double Wide Gap KVD dropshot hook, same baits (honey candy). > When sight-fishing, he used a mix of Strike King Dream Shots and a Half Shell, a new soft plastic that will be unveiled at ICAST (“It’s a neat little bait that’s designed to stay horizontal in the water,” VanDam said) as well as a tube. "A lot of guys really helped me out early in my career, knowingly and unknowingly, and I respect many of them. Tommy Martin, Larry Nixon, Rick Clunn, Denny Brauer – I can name several others too."